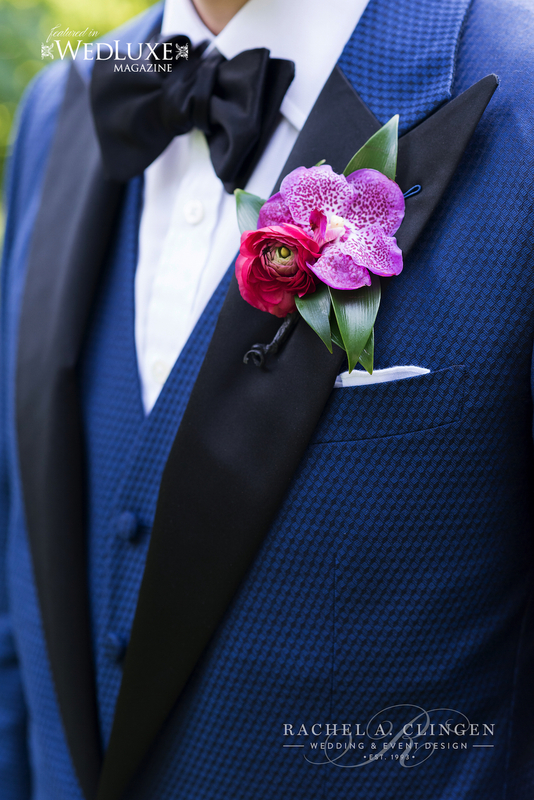 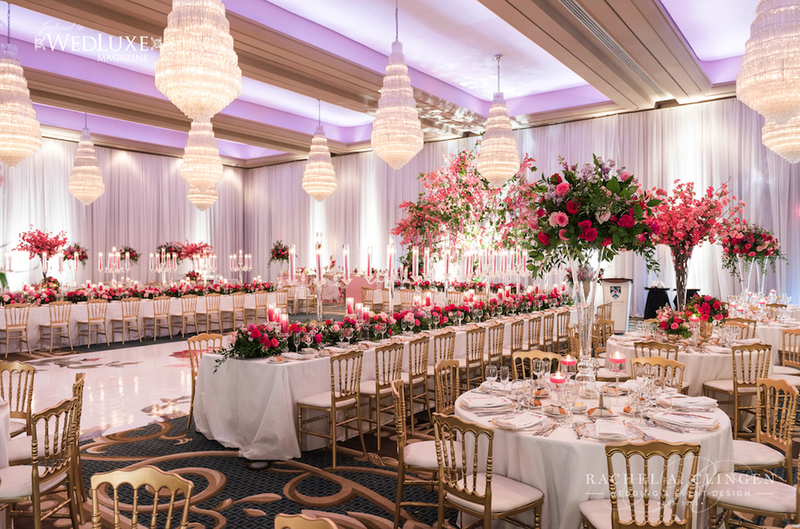 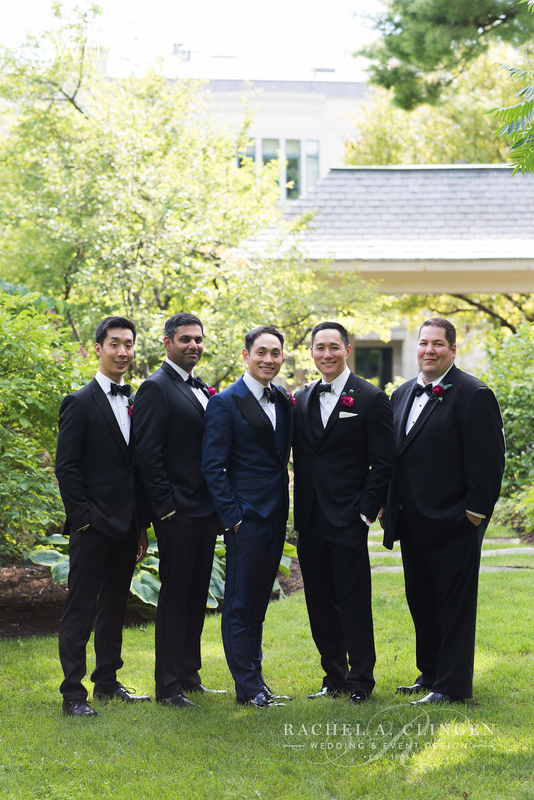 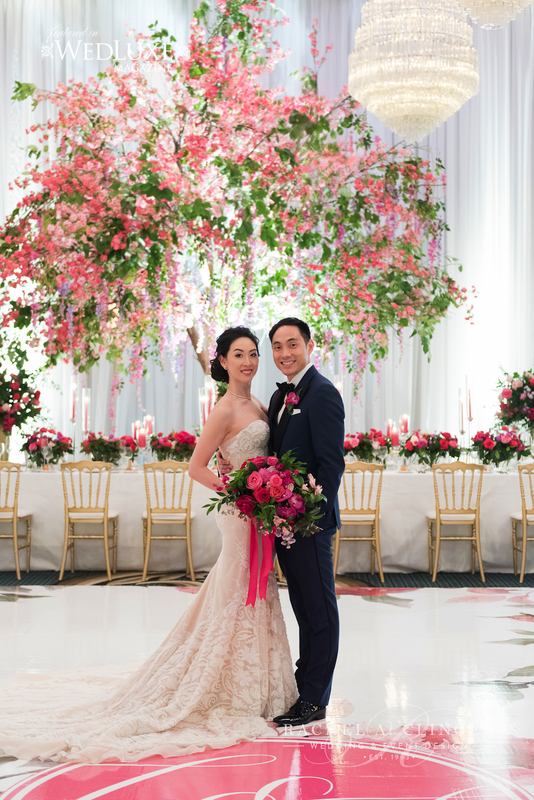 Charmaine and Andrews spectacular fuchsia blossom wedding at the Granite club in Toronto was magical in every way. 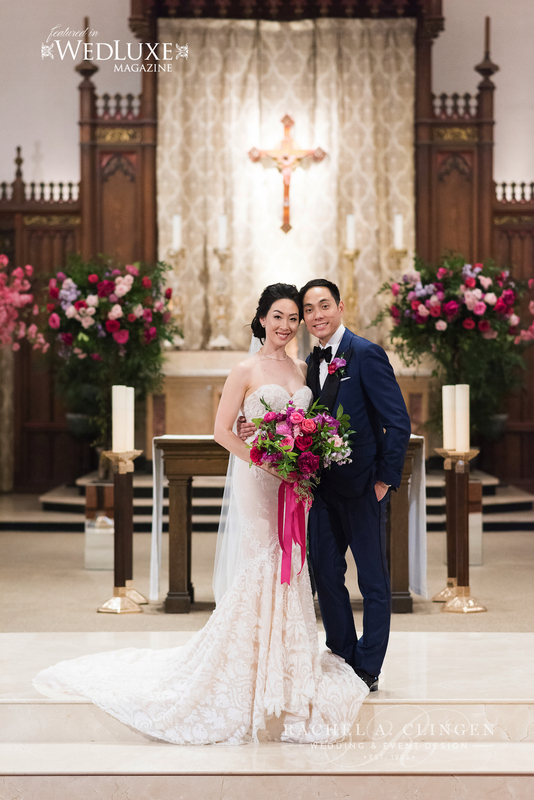 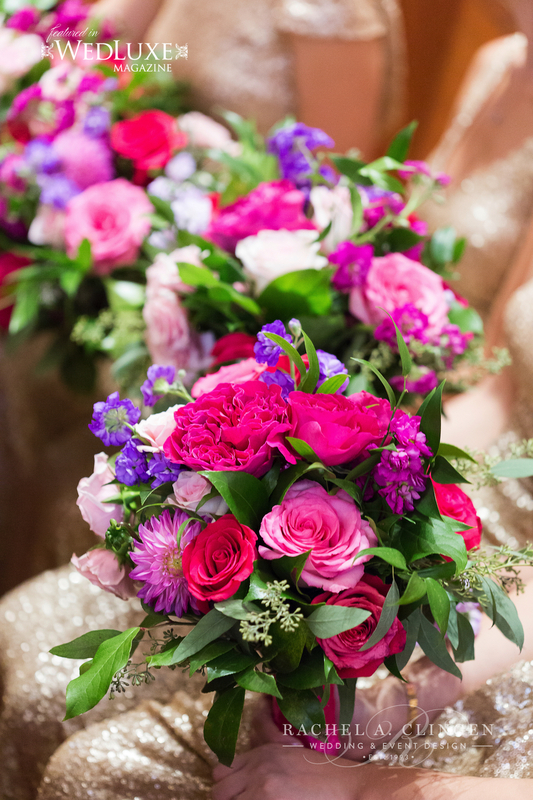 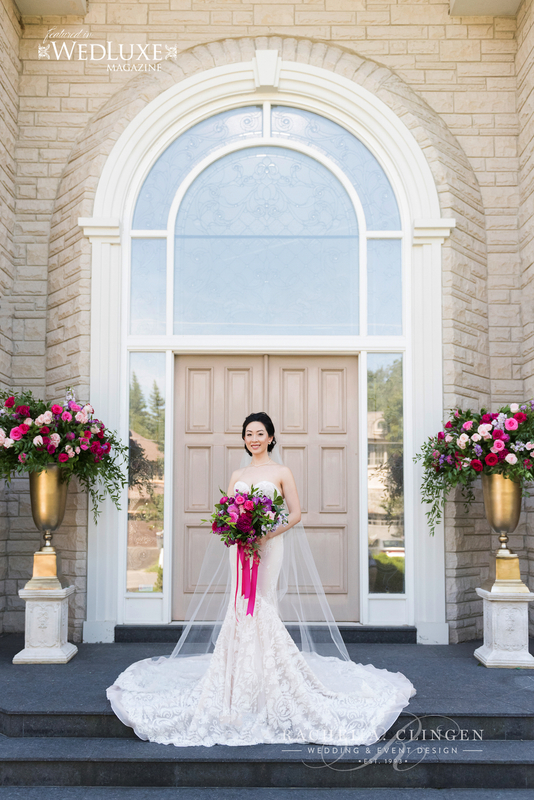 We designed the flowers and decor with the brides love for bright colours in mind, both for the ceremony and St. Basil’s Catholic Parish as well as the reception at the Granite Club in Toronto. 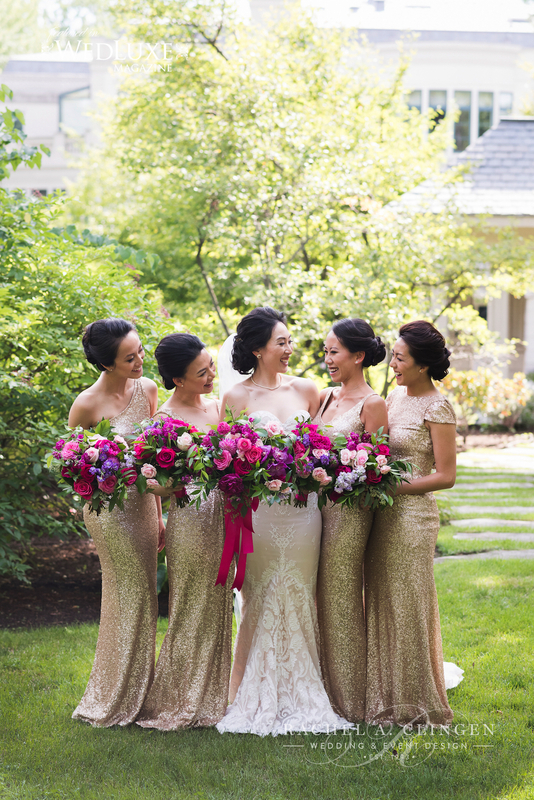 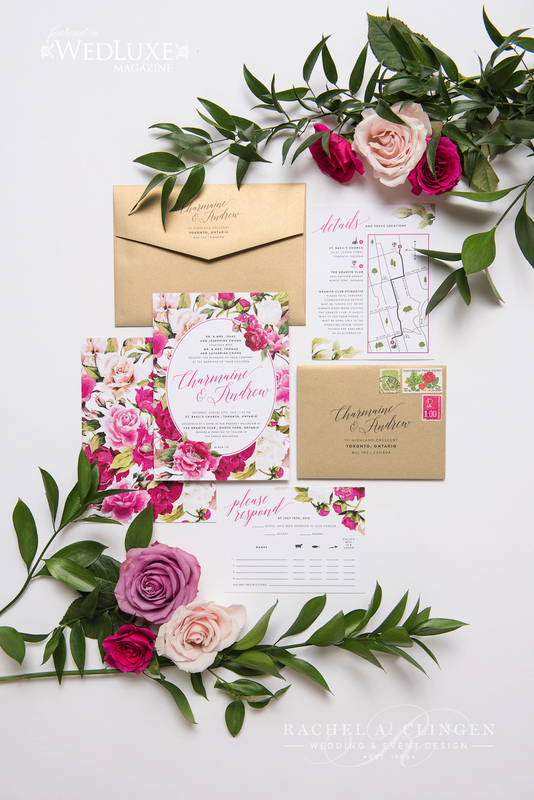 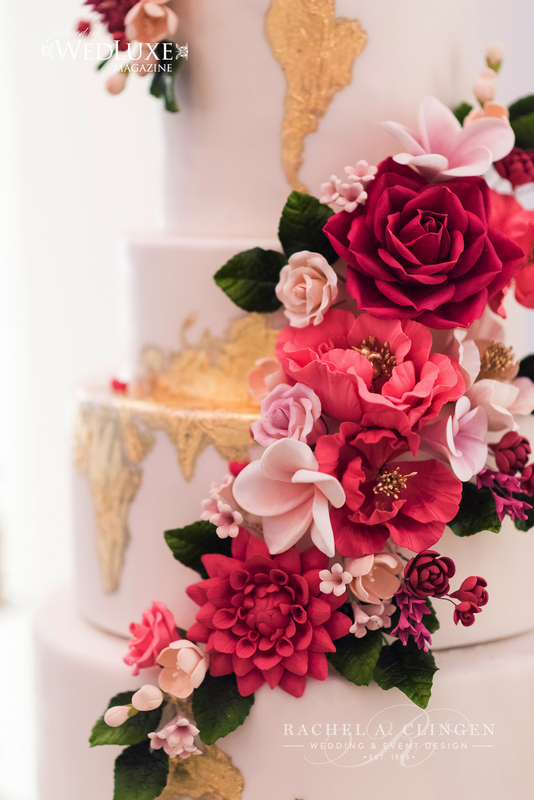 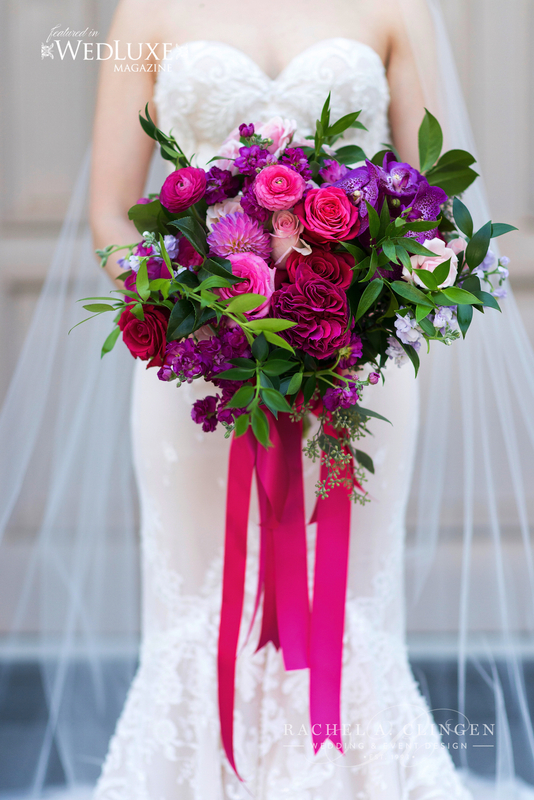 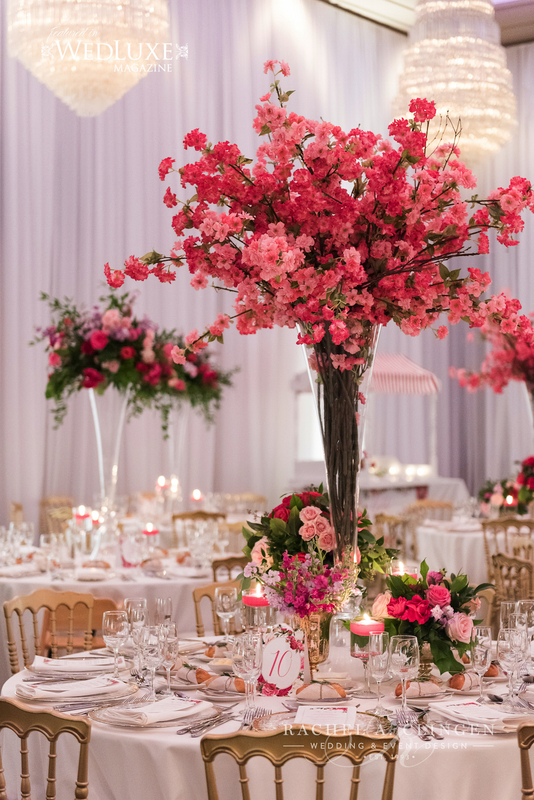 Inspired by the Venetian Gardens in which the beautiful couple were engaged, their wedding was a full display of colourful flowers and and blossoms. 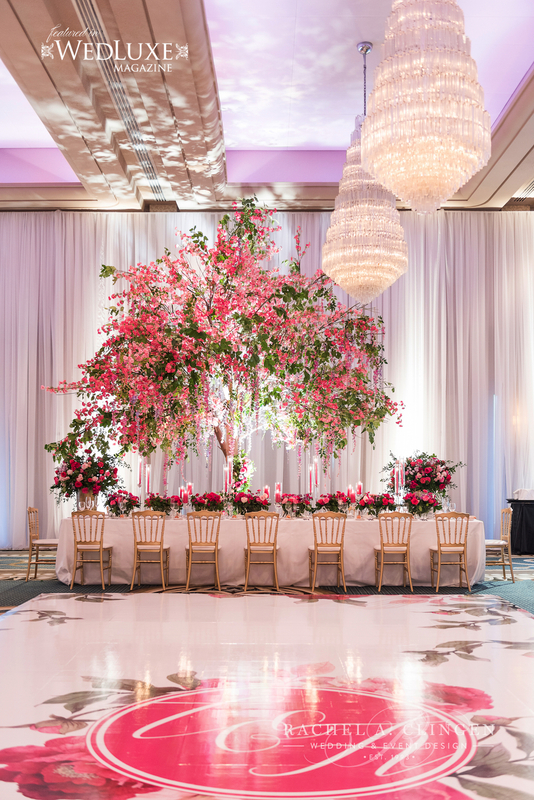 Our team took the inspiration to life in the Granite Club, when we designed and created an incredible larger then life twenty foot fuchsia cherry blossom tree with cascaded over the head table. 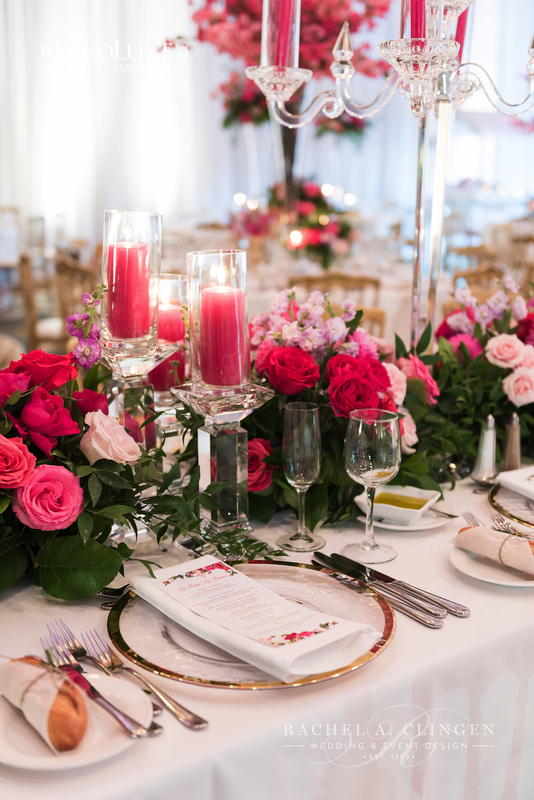 Guests dined at both round and gallery tables which were all detailed with crystal and candle light. 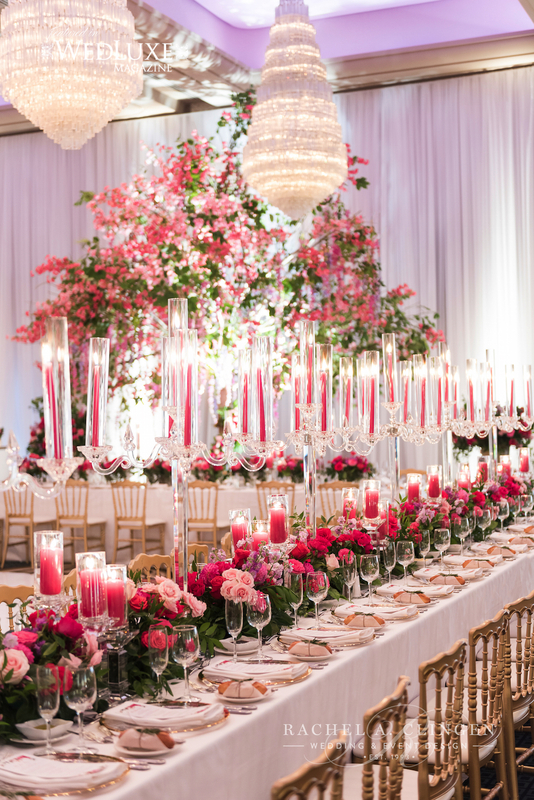 The gallery tables were eye popping gorgeous with rows of crystal candelabras and lines of low florals. 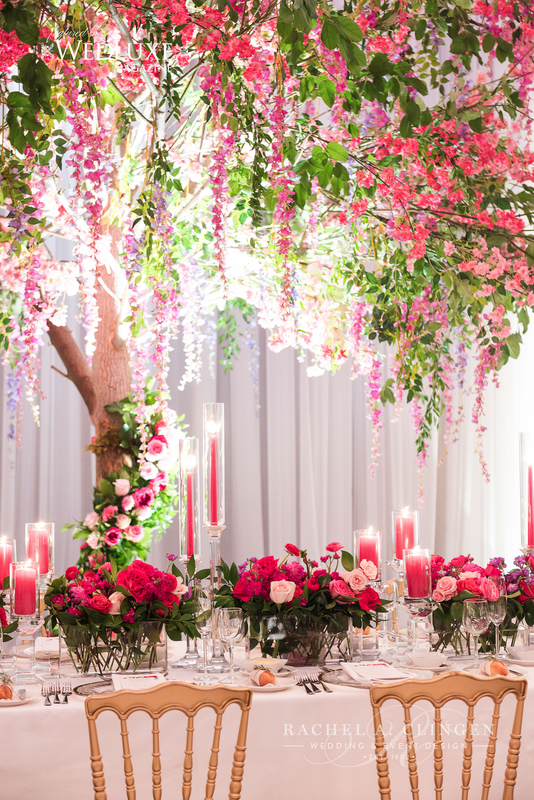 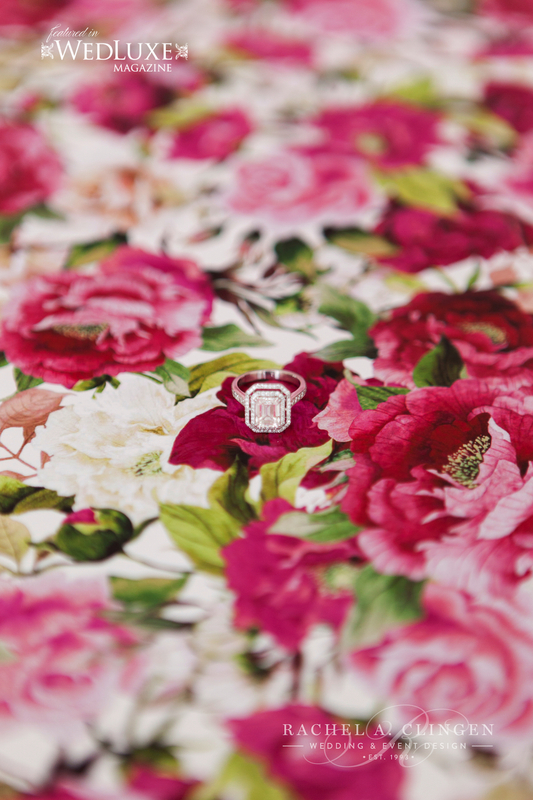 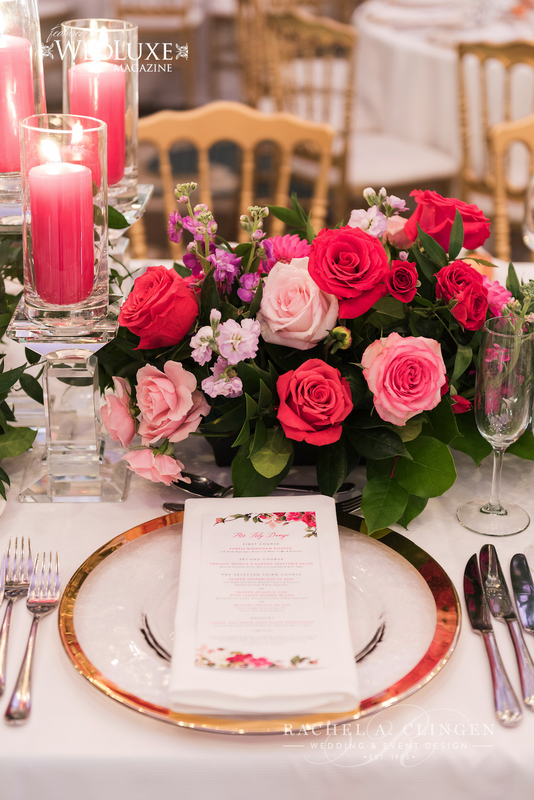 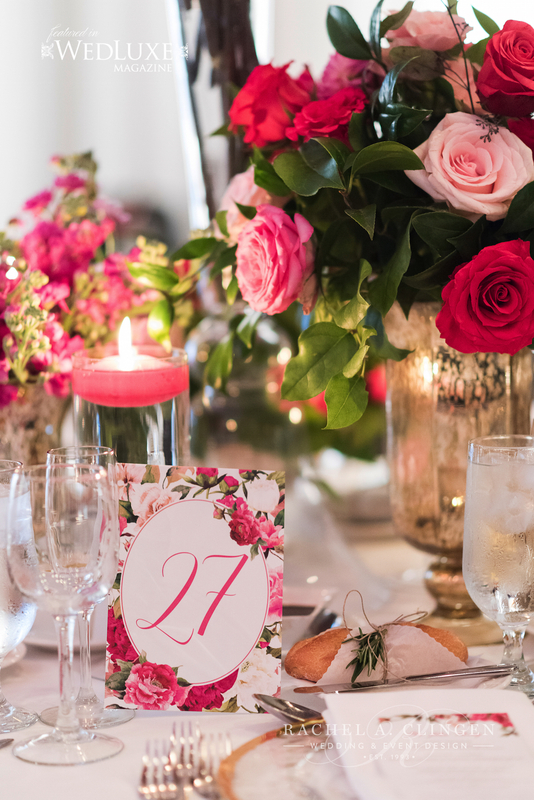 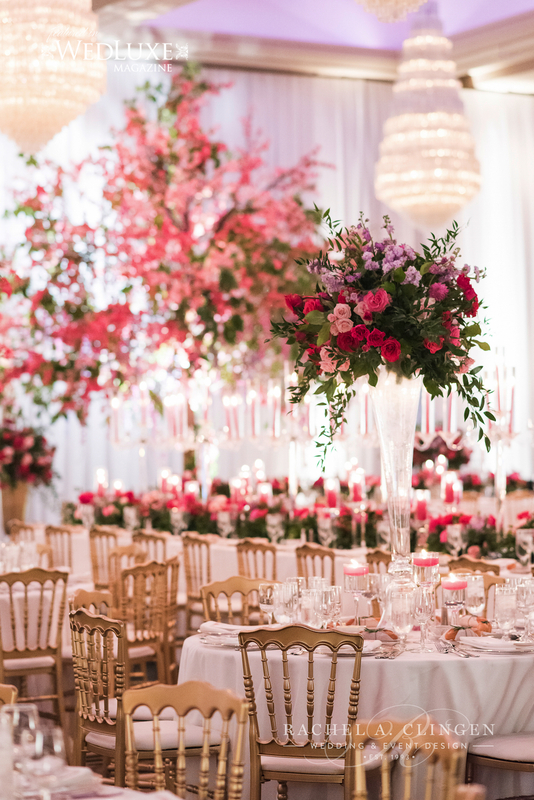 In addition the round tables were dressed with alternating high centrepieces of fuchsia blossoms and flowers. 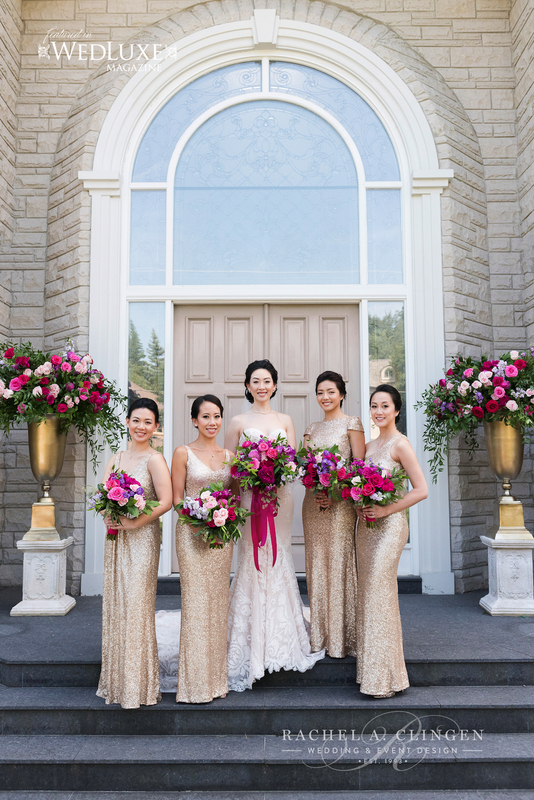 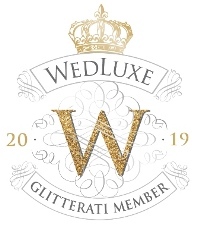 It was a wonderful day and we are thrilled to see this wedding featured in the latest issue of Wedluxe Magazine. 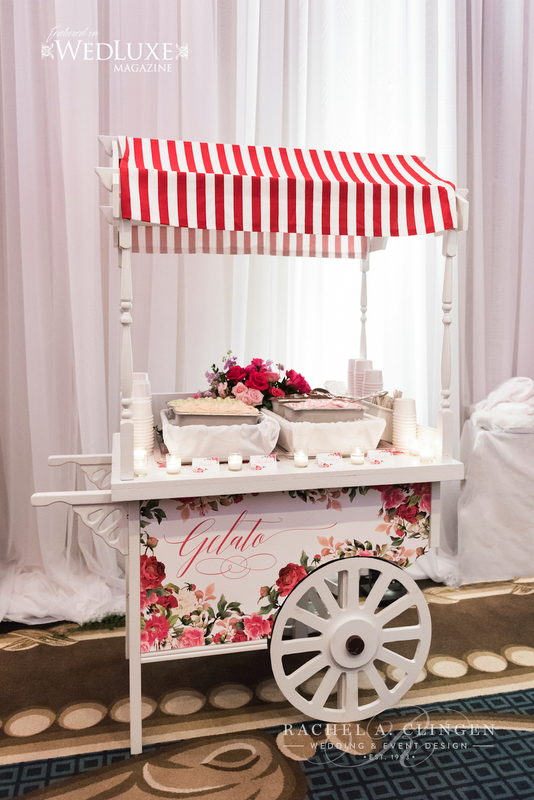 As always it was a team effort with some of Toronto’s top wedding vendors including our dear friend and wedding planner, Laura from Laura and Co. Events as well at the talented photography team at 5ive 15ifteen. 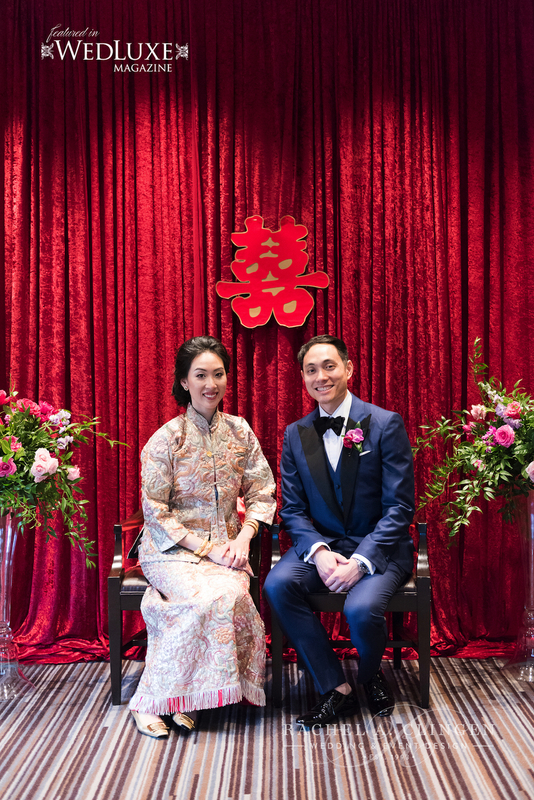 Congratulations Andrew and Charmaine. 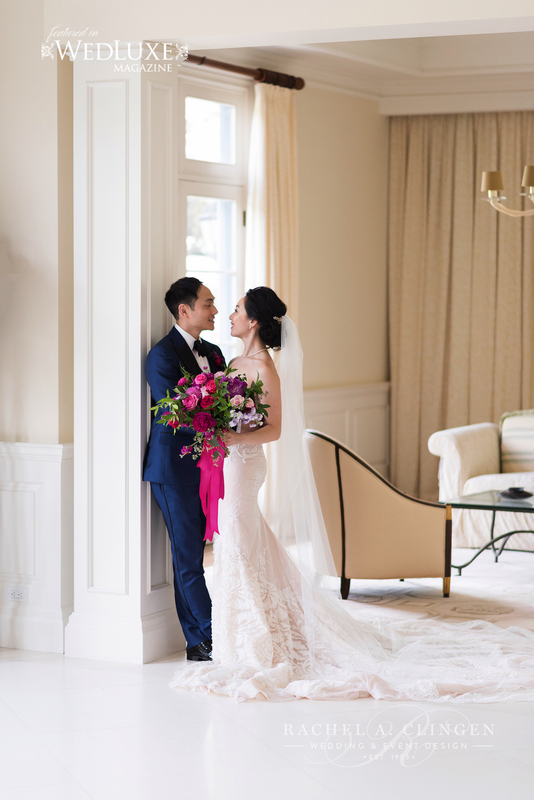 It was such a pleasure working with you!